A square jawline attributed to TMJ, genetics, excessive teeth clenching and bruxism can increase the size of the masseter muscles and create a jawline to look wider, which some many find to be masculine. A slimmer jawline creates a slender facial profile and typically a more youthful facial shape. 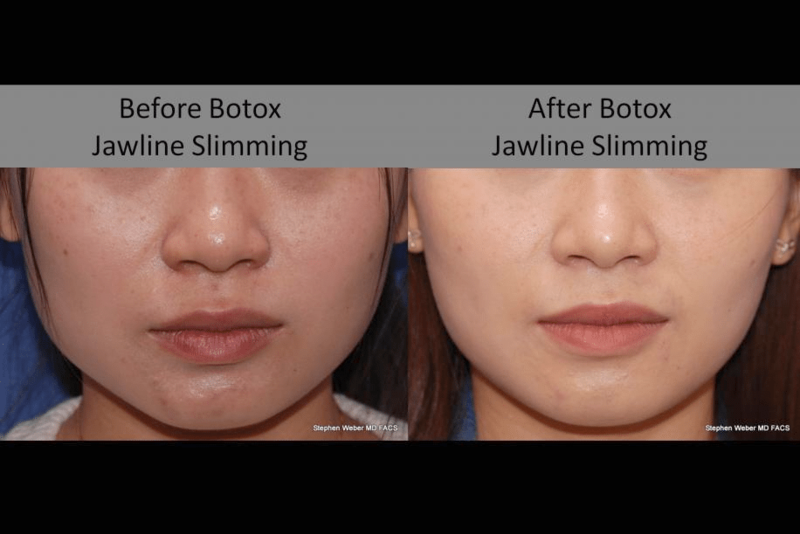 By injecting Botox to relax the bulky masseter muscles on each side of your jaw, this effectively shrinks the jawline, reducing the appearance of a square jawline. By relaxing these muscles, it will lose its bulk and size over time. Results typically last about 6 months. After 6 months, you may see the masseter muscles to be slightly smaller than once before or revert back to its original size.